Last summer, at my kids' insistance, I read the first book in this series. I just finished this one last night. i FOUND it equally dark, disturbing, engrossing, and imaginative . The world created in the mind of Suzanne Collins is ingenious. The Hunger Games and it's rules, the Quarter Quell cards, the districts. I wonder how a mind can come up with such an idea. This is really a tale of politcal oppression, and the star characters are certainly oppressed. It can be difficult to read the troubles our hero and heroines must endure. But it is always engrossing and never predictable. 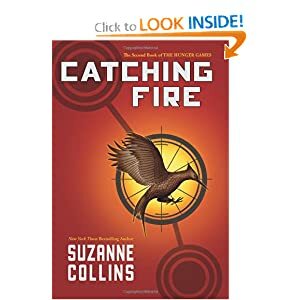 I will be reading the next book right away, hoping Katniss gets a break somewhere in her life and finds some happiness in her world. I know the districts are in full rebellion and she is seen as the catalyst. It will be interesting to see what happens.